To switch between the 7 calendar views, tap on the menu in the top left corner (3 horizontal bars). This will bring out the hamburger menu where you can switch between views as well as set a default view (via the star). The day view is great for keeping you focused on the daily schedule. The daily weather is also integrated into the toolbar. The week view gives you a great overview of your events of the week. This view is ideal for editing, moving, copying and pasting events. You can pinch to zoom in for a closer view of your activities. The week agenda view resembles the look and feel of a paper organizer. You can see all your appointments of the week at a glance. In the month view, events are displayed as graphical bars and dots in the calendar. 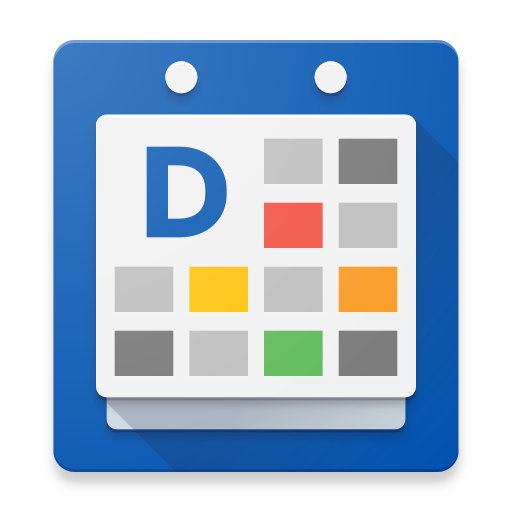 For a textual description of your events, tap a day and a list of events will be displayed in the list below the calendar. The text month view allows you to see your appointments in a single glance. When there are too many appointments showing up in a single day, just scroll to see the next appointments. In the agenda view you can easily scroll through all your appointments in chronological order. It’s great for flipping through your events. The year view lets you quickly see which months or days have the highest concentration of events through a heat map. You can tap on any month to open that particular month in our text month view.